I’ve been having an urge to relive some of those old cartoon favourites from back in the day. 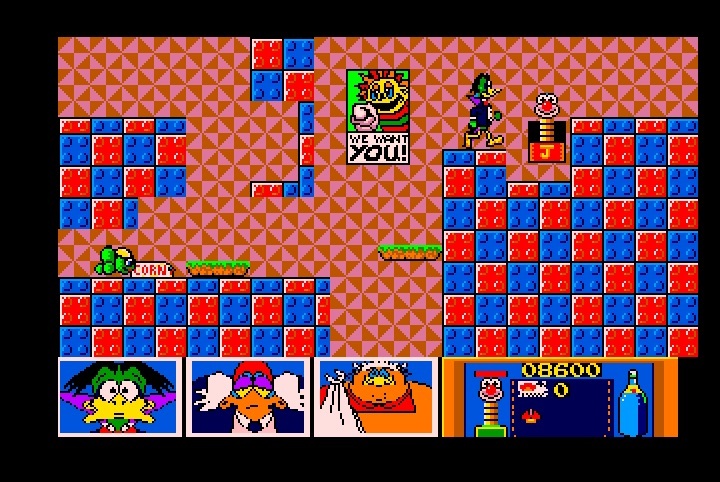 The Flintstones, Huckleberry Hound, The Jetsons, Top Cat, Duckula… Duckula you say? 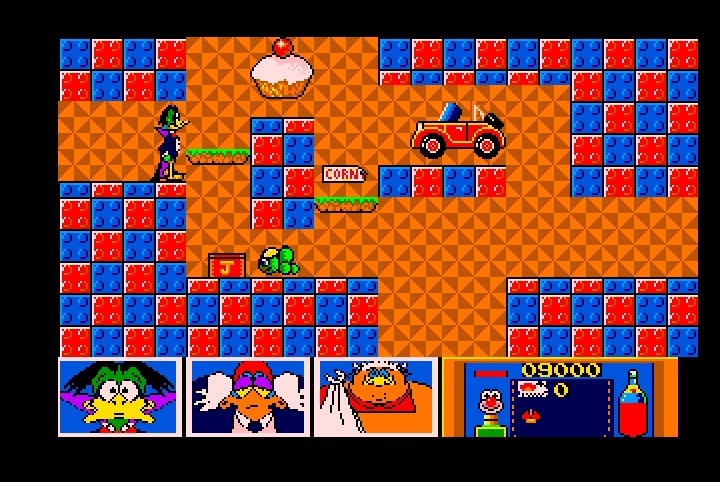 I didn’t even realize this had been released on the Amiga! 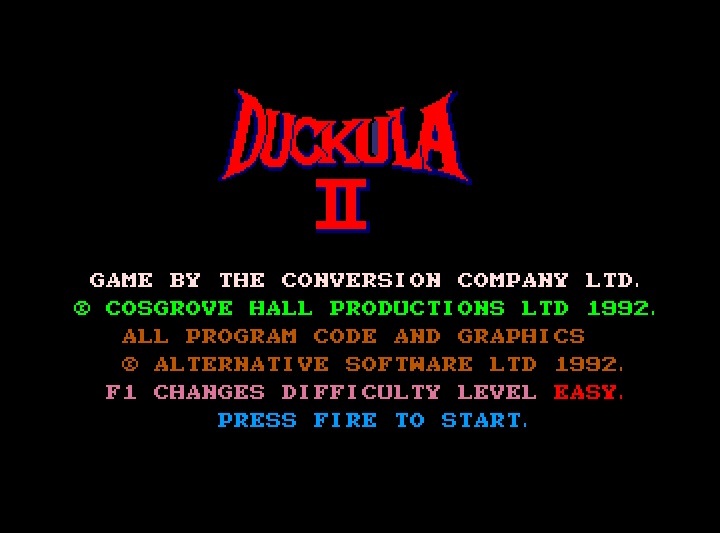 Count Duckula was one of my favourite cartoons growing up, it was made by Cosgrove Hall (purveyor of fine animated childhood memories), and I can’t believe they’ve been keeping this secret from me all these years. I’ve not had much luck finding a decent cartoon licence so far, so I’m playing this with standards set to low. On loading up my first impressions were, “nice title screen”, good likenesses in all the characters, colours pretty much spot on, well drawn, and they’ve had a good try at nailing the cartoon’s theme. Seems they spent quite a lot of time and effort on this title screen and short intro story. What could possibly go wrong? 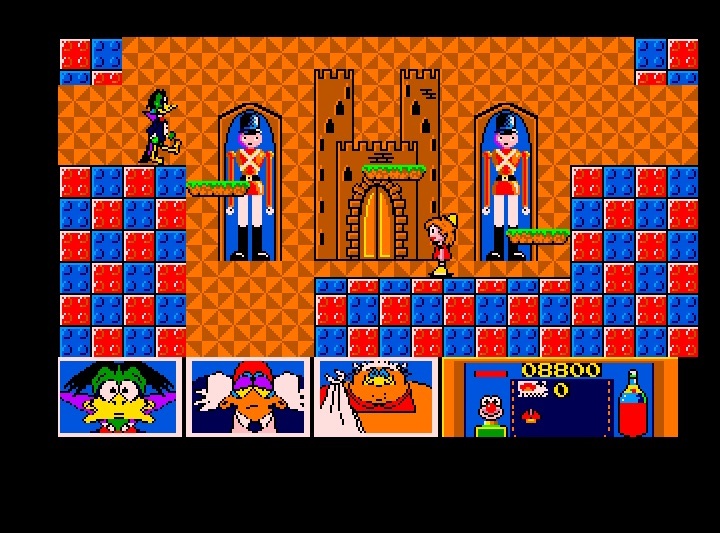 Duckula himself looks pretty good, his sprite is well drawn and he has a neat little animation for walking, the colours again are bright and accurate. However once you actually start moving and get into the game it’s pretty clear it’s going to be an, um, interesting experience. Several screens in and never before have I been so frustrated with moving platforms in a game, which disappear and reappear as they move leaving the player guessing where you need to go next, this wouldn’t be so bad if your jumps didn’t have to be spot on, and if not, falling from even the smallest of heights you die. All these screens look the same! 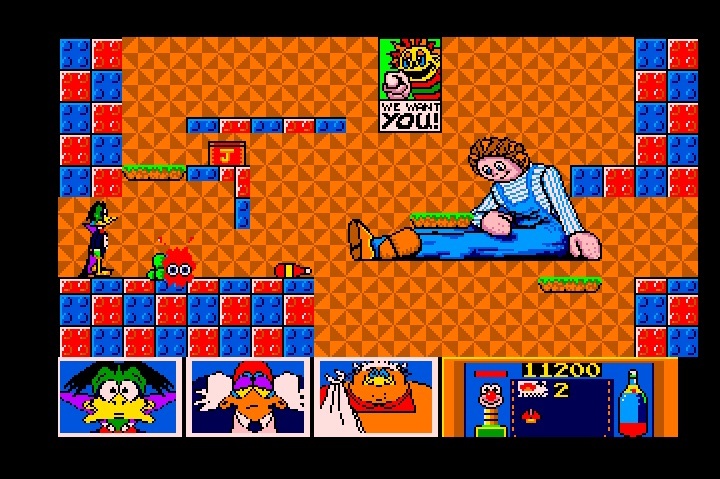 You move from screen to screen in the usual left to right fashion, tackling tedious platforms, avoiding terribly pointless enemies, to make your way to the next screen. Your only weapon, used to stun enemies and not kill them, is ketchup, which you launch at the enemies and who suddenly look to the player in surprise, as if to say “What did I do?”. Scattered throughout the game are packs of corn to collect, these give you invincibility for about 10 seconds. Each screen is pretty repetitive and dull, there’s no music and the sounds effects are random and bizarre. One terrible example is when you die from a fall, you’re welcomed by the most disturbing and out of place voice exclaiming “Whoops” at your expense. A few more screens into the game you reach Igor, this seemed like a nice change from the usual dullness of each screen, I thought at this point there might be some “thanks for rescuing me”, or bonus points, or perhaps witty dialogue…. nope, nothing, Igor just evaporates when walk into him. Sigh. I’ve got a feeling I’ll be taking a spiralling dive towards the negative with these reviews, however, I am going into these games having never (in most cases) played them before, and with low expectations. So if a game does surprise me, I’ll say so. 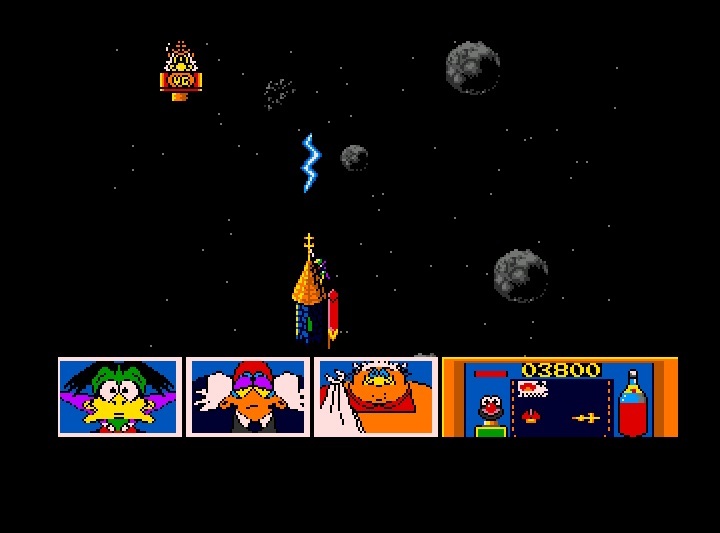 I tried Duckula as I’m a fan of the cartoon, so why wouldn’t I want to play the game? The title screen, box art and characters all look good, and I expect with just the screen shots and nothing else to go on it actually looked quite nice. I can tell you now this is my first and will be my only time of playing this game. 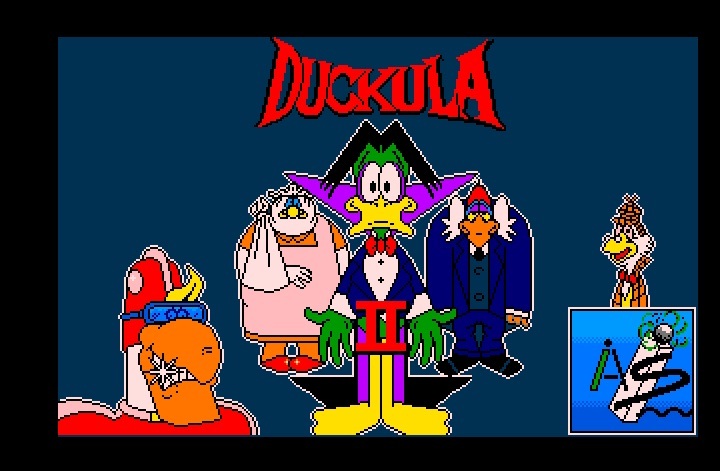 Appearances can be deceptive, Duckula is aesthetically pleasing (as sometimes these licenses can be), but the game however is best left on the shelf. It doesn’t do the cartoon any justice, and once again you get the feeling if this didn’t have Duckula on the label it wouldn’t have sold a single copy. An extremely glitchy and dull platformer which has Yolanda levels of frustration. Incidentally, I didn’t reach the end, my patience ran out about halfway and I can only afford so much counselling. I checked it out on YouTube instead just to see the end boss. I wouldn’t bother, unless you’re reaaaallly bored, and curious. Nanny says no. Just no.